What things does it cover on our site? Why are we going for certification? Welcome to the first in a series of newsletters intended to inform the site of activities connected with Environmental Management. Please take a little time to read it - your support is crucial to success. At Sidhil we began introducing a formal EMS in January 2011 and are using the 14001 model to base it on. Introduction to BS EN ISO 14001:2004? This is the international management standard covering the environment: It is used as the model for our EMS and we will be audited by our own staff and formally assessed by BSI later this year and at regular intervals in the future. What things will it cover on our site? 1. 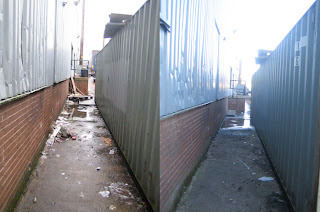 To ensure we adequately control the sites significant aspects, i.e. waste, energy, resource consumption, pollution etc. 2. To ensure the company fully complies with all the environmental legislation currently in force. 3. To meet customer demand – many customers now expect their suppliers to have ‘green credentials’ when tendering for new work. Operating an EMS certified to 14001 is an excellent way to demonstrate this. 4. Save money and improve operating efficiency and safeguard the future of the business. Your support, co-operation and input into this system are essential for long term success! Reading and supporting the Environmental Policy. Ensure you are aware of the environmental impacts associated with your area. Follow any work instructions relating to protecting the environment. ENSURE THAT YOU SEGREGATE WASTE INTO THE CORRECT CONTAINERS – if in doubt ask. Avoid wasting energy, water and materials. Report any incidents or near misses including spillages using the Incident Reporting Forms in the same way you would an H&S accident. Contribute to improvement teams and or provide ideas for improvement to management – help us to help ourselves. Contact Lynne Dixon, Scott Heaton or Richard Locker for more information. Speak to your line manager for information relating to your work area and tasks. Thanks for taking the time to read this blog story.